* Please Note: Shown With Custom Nutmeg Finish. A fireplace is a great addition to any room especially when you do not need to have a chimney for ventilation. This vent-free natural gas fireplace from Empire comes in a beautiful white wooden mantel and with a realistic Flint Hill log set. It conveniently comes complete with a matte black hood, frame, and louvers for a quick and easy installation as you do not need anything else. Additionally, to ensure peace of mind, this fireplace comes with a 5-year limited warranty. Is this unit available with a 10,000 BTU burner for bedroom installation? Thank you. Yes, you can get the same Vail 26" vent-free fireplace with a 10,000 BTU burner, but the mantel cabinet will need to be added separately. We recently purchased a ventless propane fireplace for our new sunroom so that we could enjoy it all year round. The Empire 26 was a great choice and looks great on the raised platform; we prepared to feature it as the focal point of the room. The only disappointments are that it was not equipped with a remote and the flame control level shows little difference from low to high, making the flame pretty much the same all the time. All in all, we are very happy with our purchase, the ease of the transaction, the speedy well-packaged shipping to the door, and the quality of the product. Recently ordered a new gas vent-free fireplace for my kitchen. 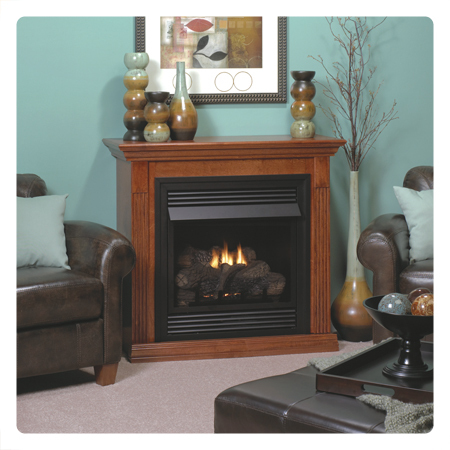 I did a lot of research and eFireplaceStore offered the greatest selection and prices. 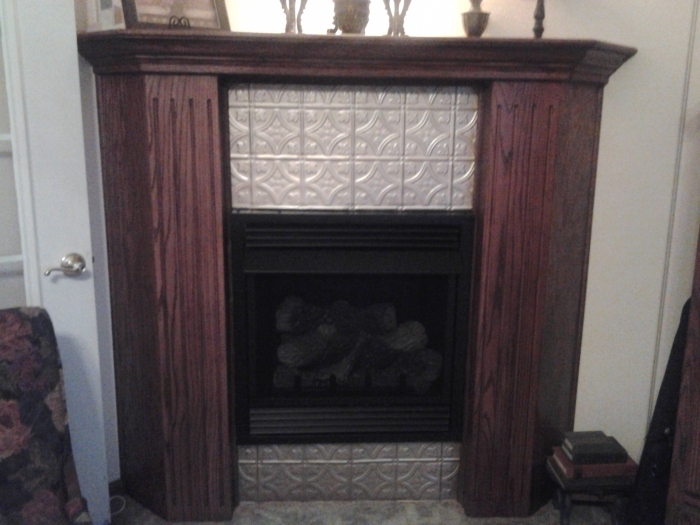 I placed my order on a Sunday and by Wednesday, 3 days later I had my new fireplace. The item was packed well and I had no problem assembling and installing the unit. I ordered a great amount of items online and sometimes companies can't promise what they say. eFireplaceStore delivered on all that they said they would. Great experience. I did receive the fireplace earlier than expected that was good. Nothing was damaged. It works great. Finished product looks good. We bought this as a gift for my son's family. It was installed earlier this week and already in use. They love the fireplace. Not only is it beautiful but it is very functional. I am sure they will love it for many years to come. It arrived within a few days after it was ordered. We are 100% pleased with the whole process. After researching vent free gas fireplaces for a couple of months I chose this one. I wanted white and one that was not too big or too small and this is just the right size. I have a small 50 ish cottage and by the end of the day the low setting is heating the whole house. The electricity went out for about a hour and it sure was nice to have heat! I had professionals install it so I can't comment on that issue. ProsBeautiful, simple design and a nice size. It looks like a quality product that beongs in the house. ConsWould like the flame to be a bit higher sometimes but it really doesn't distract from pleasure.